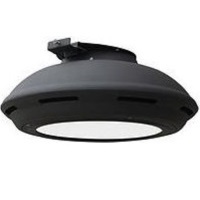 LEDone's universal 60 watt canopy light fixture is easy to install and maintain. It includes a 4KV surge protector inside of the power supply along with an open air ventilation design. It is also rust and corrosion proof with a polyester powder coating. The light fixture is DLC and ETL certified and includes a 5 year warranty. Wall mount, fast installation panel for ceiling mount or pipe mount are optional.